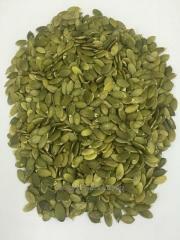 pumpkin emechka grade "Ukrainian polycarpous", pumpkin sunflower seeds, pumpkin seeds, Ukraine, Export. Ex-ORT on the terms of FCA, EXW. Mid-season grade-85-100dney. dlinnopleti-costing plant. 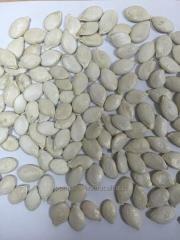 The fruit is korotkoova-lny, slabosegmenti-rovanny, slaborebri-sty, light orange color with green drawing. The pulp is orange, sweet. 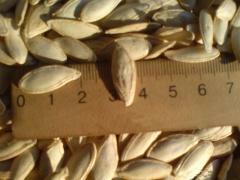 Seeds of the average size, oily, tasty. Good transport - belnost and keeping quality of fruits. It is steady against drought. 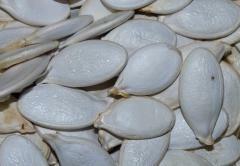 It is suitable for cultivation in all zones of Ukraine. Maturing plo-Dov amicable. 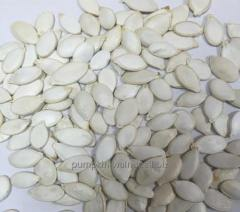 At crops it is more preferable to apply the couched seeds. 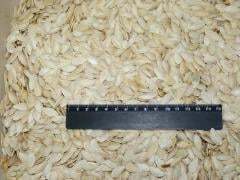 Seeds sow when the danger of frosts to shoots passes and the soil will get warm up to the temperature of 10 — 12 degrees, but temperature of 15 — 18 degrees is considered optimum. 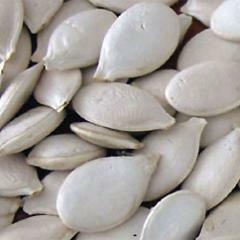 Seeds close up on depth of 5 — 7 centimeters. 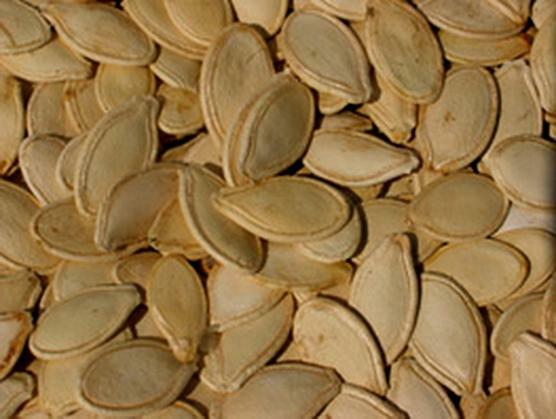 The area of food of pumpkin cultures fluctuates from 0,5 to 2,5 square meters depending on terms of maturing of fruits: than late-ripening varieties, by that it is more allotted them the areas of the earth. Care of crops is simple: thinning of shoots, weeding and loosening. Thin out shoots in two steps: the first time when plants have 1 — 2 presents of leaflet, in holes the most developed plants leave on 2 — 3; the second time — in the presence of 5 — 6 leaves, dating thinning for the second loosening. In hole leave one strongest plant. Weeding and loosening are done as required at emergence of weeds, after rains. Pumpkin — annual grassy plant with creeping stalks. Has flowers diclinous, very large, are pollinated cross, mainly by bees. 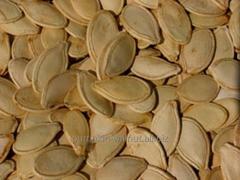 Fruits of pumpkin happen the most different forms and coloring, and weight them fluctuates from 15 — 20 g to 16 — 20 kg. The best predecessors for pumpkin — cabbage, potatoes, tomato. As it is sowed late, before its landing or crops it is possible to grow up garden radish, spinach, salad. Rather the tenevynosliva, well grows between ranks of corn. Pletisty grades which it is better than sectional forms are suitable for this purpose choose the places which are most lit with the sun more. It is good to combine with potatoes and bush bean. It is possible to place near the lit fences, arbors, on lanes. For fruits at the same time it is necessary to do props or to suspend in grids. 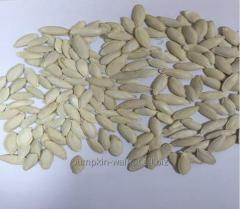 Unbelievable price on Pumpkin sunflower seed grade "Ukrainian polycarpous", pumpkin sunflower seeds, pumpkin seeds, Ukraine, Export. in Cherkassy (Ukraine) company Nikolaj Anatolevich, ChP. Семечка тыквы сорт "Украинская многоплодная", тыквенные семечки, семена тыквы, Украина, Экспорт.Pumpkin sunflower seed grade "Ukrainian polycarpous", pumpkin sunflower seeds, pumpkin seeds, Ukraine, Export.Kürbiskerne Grade "Ukrainische polycarpic", Kürbiskerne, Kürbissamen, Ukraine, exportieren.De la semilla de la calabaza la clase "Ucraniano multifecundo", las semillas de calabazas, las semillas de la calabaza, Ucrania, la Exportación.Насіння гарбуза сорт "Українська багатоплідна", гарбузове насіння, насіння гарбуза, Україна, Експорт.Seminţele de dovleac grad "Ucraineană polycarpic", seminte de dovleac, seminte de dovleac, Ucraina, export.Sementes de abóbora, grau "Ucraniana polycarpic", sementes de abóbora, sementes de abóbora, Ucrânia, exportar.Kabak çekirdeği sınıf "Ukrayna polycarpic", kabak çekirdeği, kabak çekirdeği, Ukrayna, ihracat.Semi di zucca grado "Ucraino polycarpic", semi di zucca, semi di zucca, Ucraina, esportare.بذور اليقطين الصف "الأوكرانية بوليكاربيك"، بذور اليقطين، بذور اليقطين، أوكرانيا، تصدير.دانه های کدو تنبل درجه "اوکراین polycarpic" تخمه، دانه، اوکراین، صادرات.Sütőtök magvak "Ukrán polycarpic" fokozat, tökmag, tökmag, Ukrajna, export.Семечка тыквы сорт "Украинская многоплодная", тыквенные семечки, семена тыквы, Украина, Экспорт.Тиквени семки клас "Украински polycarpic", тиквени семки, тиквени семки, Украйна, експортиране.